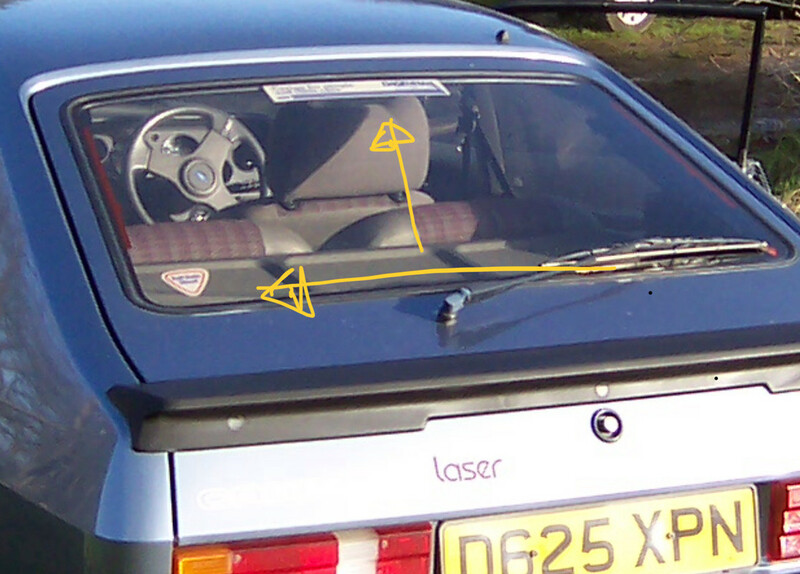 samholmes wrote: Hi my Capri came from Soans of Leamington and as the window sticker still on but peeling away . Whats your new one look like ? Good to hear that yours also came from the same dealer. What model/year do you have? The new sticker looks great. I also have the original Soans key fob too. Just out of interest, what does yours look like? Have you got a photo? I cant unload pics on here not a clue ! When i get time later this week or weekend i will pm you my mob number have you got Whatsapp ? By all means PM me and yes I'm on WhatsApp. Funny how sometimes our capris might have met , I always wonder if I should put the original stickers in mine as I do have them also pictures where they went . So I can always put back to original again . Jasonmarie wrote: Funny how sometimes our capris might have met , I always wonder if I should put the original stickers in mine as I do have them also pictures where they went . So I can always put back to original again . Yes exactly Jason. 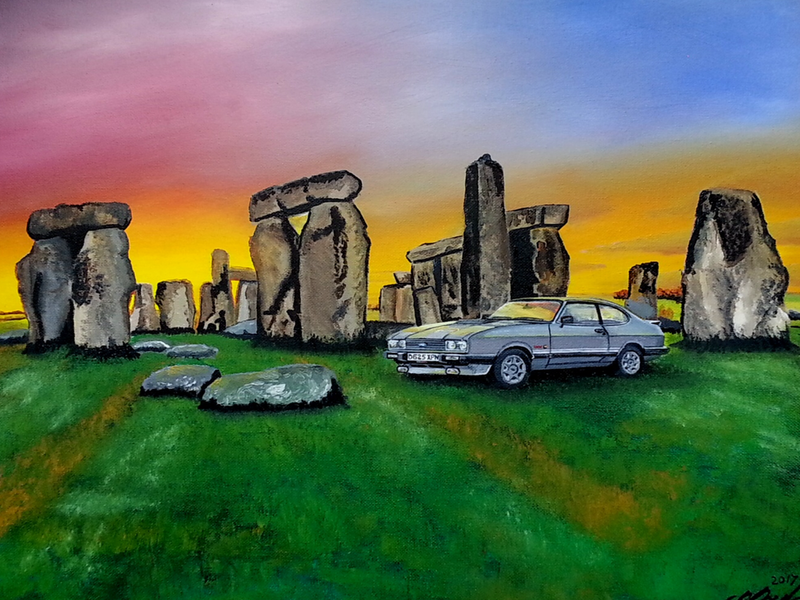 Who knows when and where in the past any surviving Capri's may have been next to each other or in the same vicinity?! (imagine if it was on the production line or showroom!). Love the photo of yours BTW. Cheers for that yes funny you say that the other year you could see where you car had been MOT and in the same year mine and nicks was mot at the same place . Jasonmarie wrote: Cheers for that yes funny you say that the other year you could see where you car had been MOT and in the same year mine and nicks was mot at the same place . Ok i will message you later in week . Maybe are Capri are related ! Lol . Long lost family ! Last edited by Mk3CortinaCapri on Tue Nov 06, 2018 9:24 pm, edited 1 time in total. Good to know and I would like to get some dealer plates one day. Although the first sticker DMB Graphics did for me was superb, I later found out that I'd submitted a design which was about 5 yrs out. However, a chance online chat with a fellow laser owner yielded some positive news. His car was supplied new by the same dealer, only a few months apart from mine and still has the original, albeit tired, dealer sticker on it! A couple of photos/measurements later and another request to Dave at DMB and he produced another superb copy. Big thanks to Dave at DMB Graphics and a sticker is on it's way to my fellow laser owner up north! New repro dealer sticker in place (thanks DMB Graphics) and number plates (thanks Proplates). Last edited by Brooksy on Tue Jan 01, 2019 12:34 am, edited 1 time in total. Brooksy wrote: New repro dealer sticker in place (thanks DMB Graphics) and number plates (thanks Proplates). Last edited by andyd on Tue Jan 01, 2019 7:16 am, edited 1 time in total.